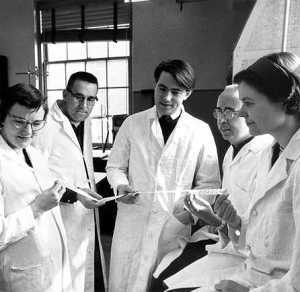 Freak of Nature | Science journalism in need of peer review. Science journalism in need of peer review. 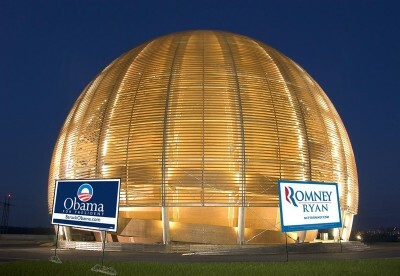 Physicists say they lack the data to declare a victor in last night’s election. Mainstream media outlets around the world have declared Barack Obama the victor in yesterday’s US presidential elections, but particle physicists at CERN say that the race is still too close to call. With every state except Florida reporting, the New York Times announced that Obama had won the popular vote and easily gained the electoral college points needed to win re-election. The Princeton Election Consortium put the probability of Obama’s victory at 99.2%. But that confidence level is still several standard deviations away from the point at which particle physicists would be willing to declare the next president. According to the norms of the field, pollsters would have to be 99.99995% confident that Obama had won before physicists would be willing to call the race. Privately, many physicists at the lab blamed America’s fractured voting system for their inability to announce a definitive result. Each of the fifty states sets its own voting rules and each uses a different system of paper ballots, electronic voting platforms, or punch cards. “Integrating this kind of data is frankly a nightmare,” says one physicist who asked not to be named for fear of appearing critical of the democratic process. “There are a variety of poorly documented systems and virtually no metadata.” The task is made more difficult by the fact that data are collected by county rather than polling station or individual houses. “The binning is just awful,” he complains. But Georgio says that blaming the electoral apparatus is overly simplistic. Even if all 300 million residents of the United States voted, and all their votes were known to near perfect accuracy, “it’s still not clear whether the result would be statistically robust enough to declare an Obama victory,” he says. Physicists say that they will continue to monitor the election closely. In the meantime, based on integrated data from all previous elections combined, they are ready to declare Benjamin Harrison the 23rd president of the United States. Plutonium, fun for the whole family! I’ve made a little photo slideshow of the work that’s gone on at Fukushima’s unit 4 reactor for the past several months. For obscure web reasons, it has to be hosted on tumblr. Click on the photo below to have a look. 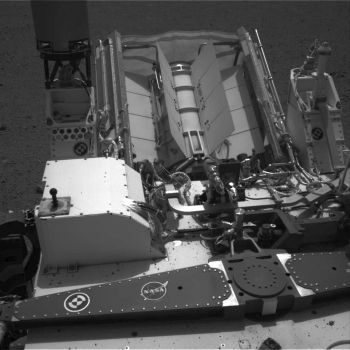 Today I have a piece on Slate entitled “Curiosity’s dirty little secret” about the rover’s nuclear power supply. The piece traces the plutonium-238 it uses back to the US and Soviet nuclear weapons complexes and discusses the environmental mess left behind. Why watching an Olympics loser was more inspirational than the gold. I doubt many people were watching the opening round of the Olympic welterweight Taekwondo on Saturday morning, but I was. It was my last little taste of the games before it all came to an end. It was great. I was drinking coffee in the stands and enjoying the spectacle of random countries beating the crap out of each other in a sport I had never seen or cared about before. Mali gave Uzbekistan a real pounding. Up next on the board: CAM vs MEX, Women’s 68+ kg. Mexico verses who? Cameroon? Cambodia? Either way, I thought, this is something you don’t see every day. It turned out that the fighter was Cambodian. She was a tall, lanky 20-year-old from Phnom Pehn, who must tower over everyone else in the country. Her name was Davin Sorn, and she had failed to qualify for the games but got through on a wild card from the World Taekwondo Federation, which regulates the sport. Her opponent was Maria Espinoza, a fighter from Sinoloa who had won Gold in Beijing in 2008. Espinoza was the clear favourite, and the favourite of the crowd: “Mex-i-co! Mex-i-co!” they chanted. Sorn looked nervous but steady before the fight. As the announcer called her name, she took a drink of water, and exchanged a few final words with her coach. She did have one thing going for her. At officially 5’10” (though she appeared to be much taller), she towered over the 5’8” Espinoza. Taekwando is mostly a sport of kicking, and fighters with longer legs have a considerable advantage over their opponents. In the opening round, Espinoza tried to lure the less-experienced fighter into an attack that would leave her open for a counter-strike. But Sorn would not be drawn. She kept her distance and used her long foreleg to push Espinoza around the mat. When Sorn finally did strike, she scored with a kick to the chest. Espinoza counter-struck with a punch. At the end of the first round the score was tied. In the second round, Sorn came out kicking. In the first seconds she delivered a jab with her left leg, then pivoted and brought a high kick down on the head of her opponent. 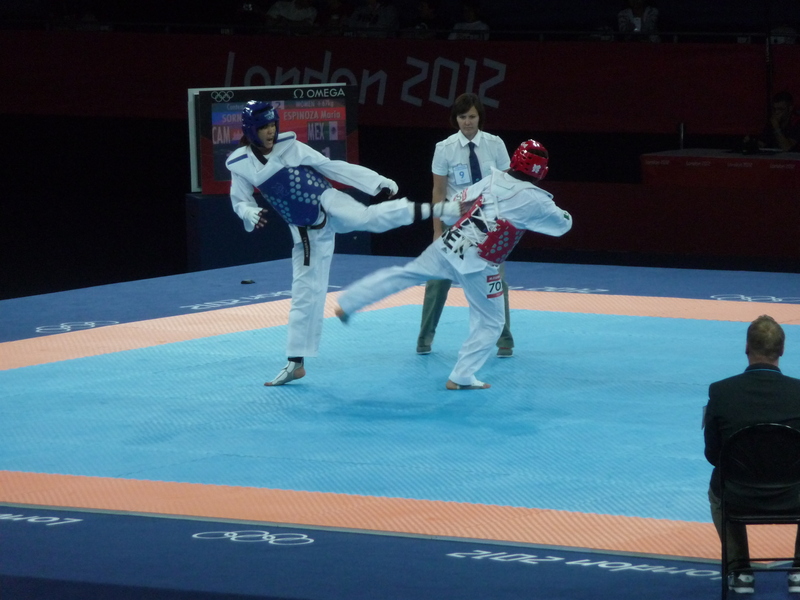 Head shots are three points in Taekwando, and the blow would have given Sorn a definitive lead over the Mexican. When no score was given, her coach flashed his blue card, triggering a review of the kick by the replay judges. Watching the slow motion, it appeared to my untrained eye that Sorn’s right foot connected solidly with the back of Espinoza’s head. The judges saw things differently, and the fight went on with a 1-1 score. Moments later, one of Espinoza’s powerful punches found its target, and she took the lead by a single point. “Mex-i-co! Mex-i-co!” the crowd chanted. In the end, Sorn narrowly lost 3-2 in the final seconds of the match. Espinoza went on to fight hard for a bronze and won it, despite what looked like a painful injury. Around 10,500 athletes competed for just 300 or so gold medals in this summer’s Olympics. The television tells the story of the winners, who overcome incredible odds and personal struggles to bring home glory. But all those losers have stories too. Sorn was born in 1992, the year after the end of a horrific 13-year civil war in Cambodia. Since then, the impoverished South Asian nation has participated in four Olympics without once making it past the opening round. She was their best hope here in London. She came to the UK early to train with a British coach who spent weeks working with her to develop her tactics and technique. In the end, she couldn’t get it done, but watching her fight was better than watching the gold medal bout on TV later that evening. Sorn must have known she wasn’t a real contender—she hadn’t even qualified, and her opening fight was against an Olympic champion. The crowd was against her, as were the odds. Yet she fought with intelligence and determination, and very nearly won. What could be more Olympic. This morning, my colleague Dan sent me a hilarious map of America that shows some common stereotypes as revealed by the autocomplete feature of Google search. It was such a good idea, decided to try it for scientists, using a slight reformulation of the question†. My quick take? People seem particularly confused by the mole, and they think that mathemeticians write on glass and go crazy (maybe in that order, maybe not). 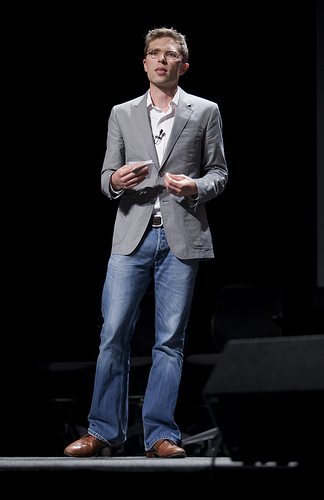 I’ve got nothing to say about Jonah Lehrer. His alleged actions speak for themselves, as does the statement released by his publisher. I’ve got a special place in my heart for posts that take a Jonah Lehrer approach to the Jonah Lehrer story. Business Insider uses Lehrer’s own writing on cognitive bias to explain his deceptions. For many of you, this blog post may be rock bottom. A meta-analysis of Jonah Lehrer coverage two days after the event. Could you really sink any lower? I can: I wrote it. So sad. Go ahead, submit links to more Lehrer coverage below. This blog is run by Geoff Brumfiel, an employee of the venerable Nature Magazine. The views expressed herein are wholly his own and do not represent those of Nature, its many, many sister journals, the Nature Publishing Group, Macmillan Pubilshing, or Verlagsgruppe Georg von Holtzbrinck GmbH.